Are you a healing practitioner (or an inspired aspirant) who would like to take your practice to a higher level of skillfulness and effectiveness? Have you wondered how healing with energy really works? We have worked with practitioners from many healing genres. Learn rare Parayana Buddhist siddhi yoga healing techniques from a Master Teacher and Buddhist Yogin with over 40 years of training and experience. Buddhist siddhi yoga healing is not taught and rarely practiced anywhere else in North America. They have been reclusively practiced for thousands of years in Asia since before Buddha’s time. 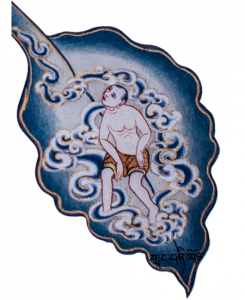 Buddha’s personal physician Jivaka is a patriarch of our healing system. Learn to meditate like a Buddhist Yogin. Our meditation is not just a cushion exercise. It is taught in the same tradition that Buddha taught his disciples. 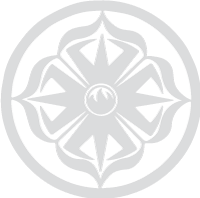 We blend meditation and mindfulness together using a gradual process that takes the practice into daily life for superior and lasting results. Essential as a base for Buddhist siddhi healing training. Learn how to change your views, thinking, and behavior patterns to ease stress, create happiness, and use choice more directly in life. Be an influencer of karma and change – not a byproduct. Buddhist psychology forms an important basis for spiritual medicine and growth. Heal naturally and learn the Buddhist secrets to self-care of body, mind and heart. We dive deep to treat the underlying nature and energy of health imbalances. When you are feeling better, we teach you how to stay that way. We are here to help restore your peace of mind, body, and heart. 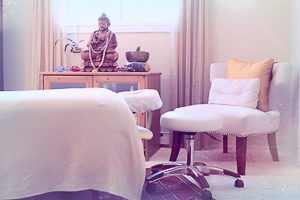 Our practitioners work with mind strength skills, life force energy and chi/prana, acupressure and marma therapy, botanical medicine, soft bone adjustment, Tibetan cranial work and Kum Nye massage. There are few people who’ve had such a positive influence on my life. I knew Don was my teacher upon meeting. He has answered all my big questions – either by showing me a solution or encouraging me to find my own way. The tried and tested Dhamma teachings he shares envoke clarity, inspiration, refuge and a boost towards Loving Kindness and Strength. He is extremely loveable – like a human version of Yoda and I so cherish our spiritual friendship. Error: Error validating access token: Session has expired on Saturday, 16-Feb-19 13:36:34 PST. The current time is Saturday, 20-Apr-19 13:09:38 PDT.